Our family belongs to a church. And in all honesty, without the support of our church community, I don’t know how we would have survived the last five years. Having a community to stand alongside you is important for any family, and all the more so for a family of children with autism or other special needs. Last weekend I had the privilege of attending a conference about including people with disabilities in church life. It was organized by Hope Centre Ministries, whose mission is “the building of inclusive worshiping communities that see all people as created in God’s image, gifted and capable of making a contribution”. The speakers included Barbara J. Newman, teacher and author of several books about inclusion, and Brian Doerksen, musician, songwriter, and the father of two boys with Fragile X Syndrome. Although my family’s church experience has been very welcoming, we have encountered a few obstacles and difficulties along the way. So it was encouraging to meet together with others to hear their stories and get some advice from people who are a little further down the road. Our children and friends with disabilities belong. Our kids, like everyone else, have gifts as well as challenges. Unfortunately, there is a tendency for people to see someone with a disability as “all needy” – that they need to be served and have nothing to give. One of our speakers pointed out that we would never say of anyone that they are entirely capable and able to do everything. Everyone has something to give, and everyone has areas of difficulty. In any community, we can look beyond the usual categories of service to see how someone can contribute. As parents, we also need to recognize that our child’s gifts may be for someone other than us. We can’t know how or when they will benefit others, but it is our job to prepare them for life in community. And just as developmental approaches to therapy at home or school look to make connections through interests and build on relationships, church friends can do the same. Growing is a social activity. Our kids need someone to “see” them as they are – people who are capable of building relationships. Church life is all about building relationships – between God and His people, and with one another. Everyone is needed and valuable; in fact, the Bible describes us as parts of one body, and so we are incomplete when we are missing someone. We can’t say that there is anyone we don’t need. Most people want to connect. They often don’t know how. I have had many people ask if they can help us out, and they’ve done so in a lot of different ways. Sometimes it’s been housecleaning help, or babysitting, or someone with handyman skills securing our gate. Those have been wonderful gifts, coming at a time when I was overwhelmed, and the concern and love were as great or a greater gift than the actual task. I think the most significant impact has come from the people who have taken time (sometimes considerable time) to figure out how to build a relationship with our kids. Particularly because our children want to enjoy other people, but often struggle with how to do that, people who are willing to step outside their comfort zone and just keep trying are helping us directly at the point of difficulty. It’s hard to know how to do that, especially at church, where there are so many distractions and the setting can be overwhelming for our kids. What’s good to know is that it’s possible to think outside of routine, to find ways to adapt the church experience to make it work for everyone. And there are resources available to help us understand and explain the difficulties, and to suggest solutions. It helps to make a plan. Sometimes parents or individuals don’t know how to ask for what they need. Sometimes the mismatch between expectations and abilities is too obvious, making people unwilling to try again. But relationship building is a process, and re-dos are possible! A good starting point might be for families or individuals with a disability to talk to someone in the church so small changes can be made – maybe they need a seat at the back or an outline of the church service, or someone to greet them and help them find their seat. Sometimes welcoming someone involves a longer-term process and a team to carry it out. 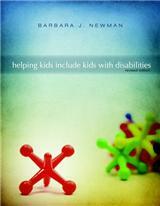 In her presentations, Barbara Newman explained her process for welcoming people with special needs. The steps included getting to know the person, recognizing the church’s strengths and weaknesses, developing an action plan, helping others understand and join in the plan, and celebrating success. The process could be used in any organization – but what hadn’t really occurred to me is that the organization can adapt to the person’s needs, as well as the person learning to work with the social demands of the church. Relatively small compromises can make a big difference. If we think about it, the church is there to bring people into a relationship with God and to help them serve Him and one another. 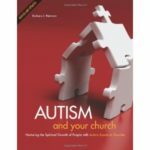 So a reasonable question is, how can we make the church experience positive and meaningful for everyone, including our children and friends with disabilities? We have some unique challenges when our children don’t communicate and understand in the way most people do.What I really appreciated about this conference was finding that there are resources – print and human – who can help. Together, we can help others get to know our kids, recognize the strengths and weaknesses of our churches, and make a plan so they can fit together…it’s a community effort. 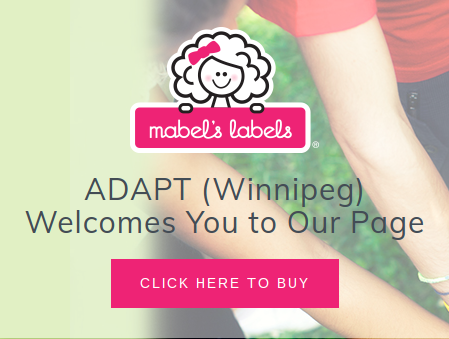 Hope Centre Ministries is holding another conference in Winnipeg next year! Click on the link or logo below for updates. They are also willing to support churches who might need some information or help implementing inclusive practices in worship and fellowship. CLC Network has a variety of resources – books and DVDs – that provide useful tools and strategies for churches, parents, and teachers. 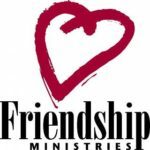 Friendship Ministries exists to help churches and organizations around the world share God’s love with people who have intellectual disabilities.